As always these days, the new jumps season follows hot on the heels of the old and I am pleased to get underway once again. Our first runners of the new campaign came at Towcester on Sunday with Midnight Magic and Iniciar representing the stable. Midnight Magic lost all chance when whipping around at the start – he was beaten less than the ground conceded so the ability is clearly there. This was the first sign of any quirks and he is worth another chance. Iniciar was having his first start over timber for almost two years and he would have been considerably closer but for a couple of untidy jumps. I was in Ireland on Saturday when both sides of the Irish Sea concluded their jumps seasons. Congratulations to Champion Trainers Nicky Henderson and Willie Mullins, Champion jockeys Richard Johnson and Davy Russell, Champion conditional James Bowen and Champion owners J P McManus and Gigginstown House Stud. Although the titles over here were secured well in advance the Irish trainer’s championship went right down to the wire and provided extra spice for a great week of racing at Punchestown. Gordon Elliott has had a fantastic season but Willie had an amazing week with 18 winners and nearly 1.5 million Euros in prize money. While we have a few days break from jumps racing over here the Irish kick off straight away with action at Kilbeggan this evening. I have no doubt that Gordon will be Champion trainer over there one day but it is sure to be another titanic battle again this time around as Willie will be as equally determined to retain his crown. The final week of the 2017/18 National Hunt season is now upon us and I am pleased to be heading for the new campaign with the horses in good order. The victory of Moon Racer (pictured above) last week at Ayr and the good performances of Taj Badalandabad and Dell’ Arca at Cheltenham illustrate the decent form of the yard at the end of what has been a frustrating season. Big Win For Big Shot! Aintree’s Grand National fixture certainly served up a treat for racing fans with three days of excellent action despite the ground remaining extremely testing owing to the persistent rain. It was a good week for the stable too, with three winners on the week, including the success of Mr Big Shot (pictured above) in the first race at Aintree on National day. I am pleased to report that all of our runners returned safe and sound and with plenty more decent opportunities coming over the last fortnight of the season, we will continue to press on. It is the start of an exciting week with Aintree’s Grand National fixture kicking off on Thursday. Weather depending, we will be having a few runners during the course of the three days, including some of those that were stuck in the mud at last month’s Cheltenham Festival. Indeed, with the ground currently ranging from good/soft to soft depending on whether it is the Mildmay chase or hurdle course or the National course itself, it is already considerably better than at Cheltenham and with a largely dry week forecast in the Liverpool area it has every chance of drying further still. 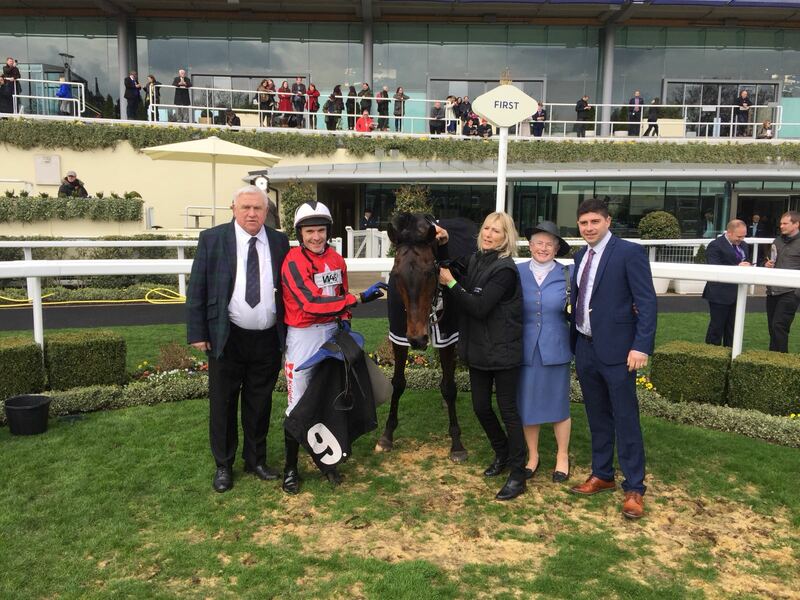 Although the weather has been horrendous during the past few weeks forcing the abandonment of several meetings and causing bottomless ground at others, we were still able to enjoy a bit of racing that bookended the beginning and end of the last seven days. 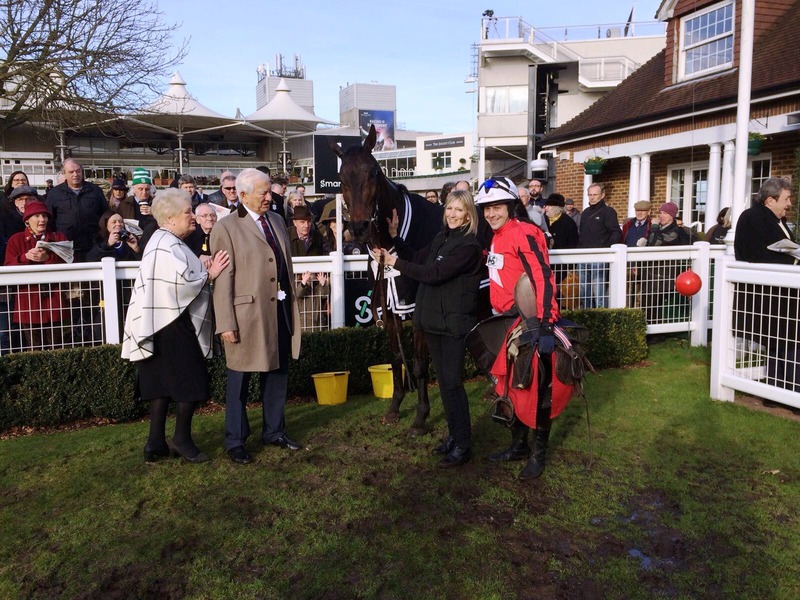 Though we were unable to notch a winner, we achieved several placings with Delface finishing runner-up at Taunton last Monday, while Tobacco Road, River Dun and Abracadabra Sivola all finished fourth, the last named in the final of the Challenger staying chase series. 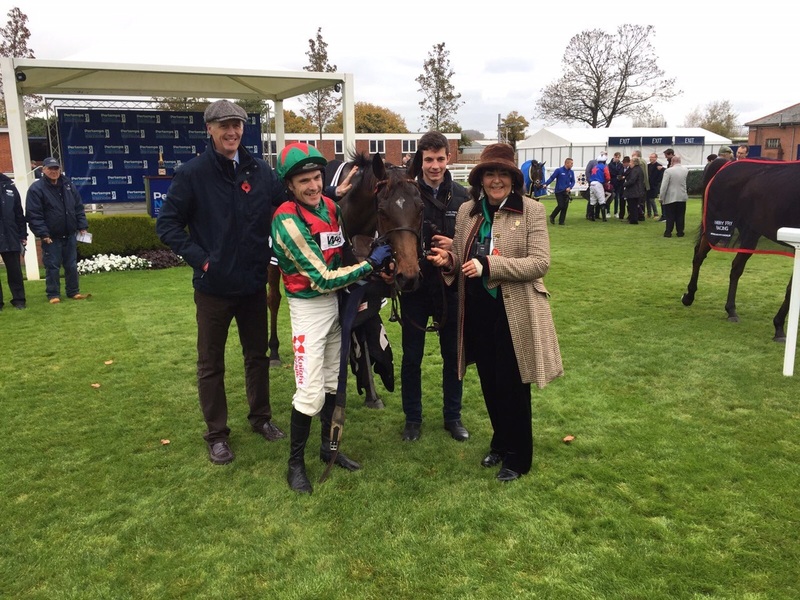 Last week was a quiet one on the runners front with only four racecourse representatives, although I am pleased to report that they all ran well without exception with the success of Rathlin Rose (pictured above) in the veteran’s handicap chase at Ascot on Sunday the highlight of the week. 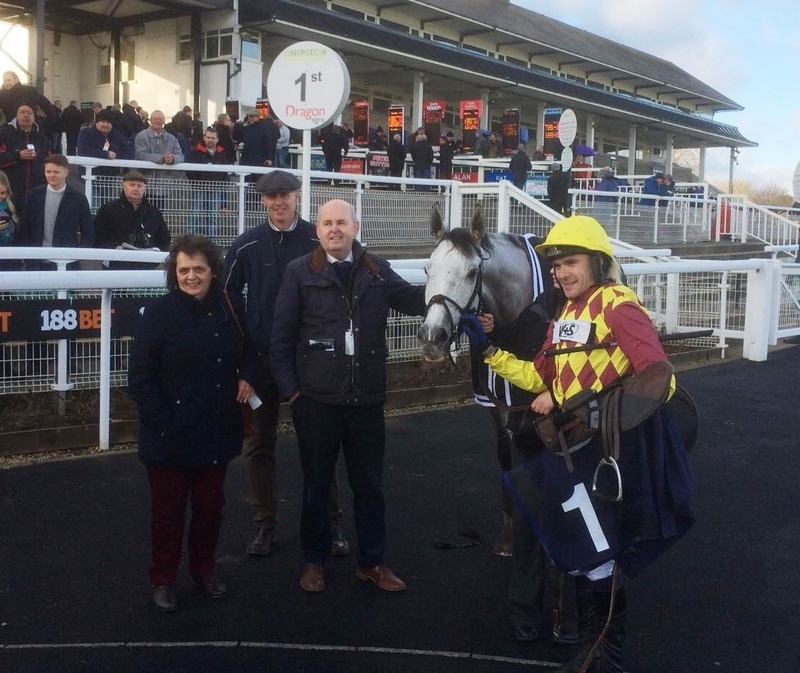 I have long advocated these races – the horses are great favourites with racegoers and they provide a lucrative pot for these grand old stagers to compete for without fear of a potential improver lurking at the foot of the weights. Well, Cheltenham is done with for another year and while I was disappointed to leave empty-handed for only the third time since taking out my training licence in 2006, I was in pretty good company owing to the Irish carving up the majority of the races. Even so, many of the Pond House runners performed creditably and there were plenty of positives to take from this year’s Festival. I am sure that with the start of the Cheltenham Festival now less than 24 hours away, you will excuse me if this week’s offering is somewhat shorter than usual. Suffice to say there are many last minute logistics that need to be taken care of, while I will also be at Taunton this afternoon to saddle my runners there so it really is all go, go, go! 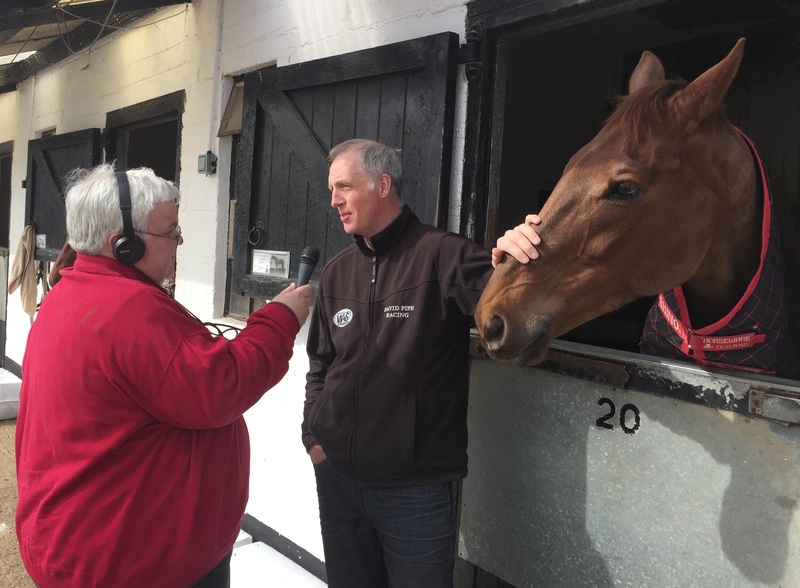 With Cheltenham now only a week away it is looking like a very low key build-up to the Festival as far as the Pond House team is concerned. Hardly surprising given the storms and snow blizzards of last week, but we did manage to have one runner on the all-weather, while this week is looking similarly quiet. Hopefully the ground will dry out sufficiently for there to be some jumps action at the weekend, with Sandown’s two day Imperial Cup fixture in particular being one that I always look forward to.